The fine folks at TBS will be putting together a set of flash (5 sheets) to raise money for MARGURITE’S PLACE, THE ST. JOHN’S WOMEN’S CENTRE’S CHRISTMAS Fundraiser for MOMS & KIDS. All money made from the sale of the limited print run flash set will got to buying X-mas gifts for Moms & Kids that need a hand over the season’s holidays. There will only be 20 sets of signed and numbered 14×11 Giclee prints made by the River Valley Print co. and they will be sold $100 a set. 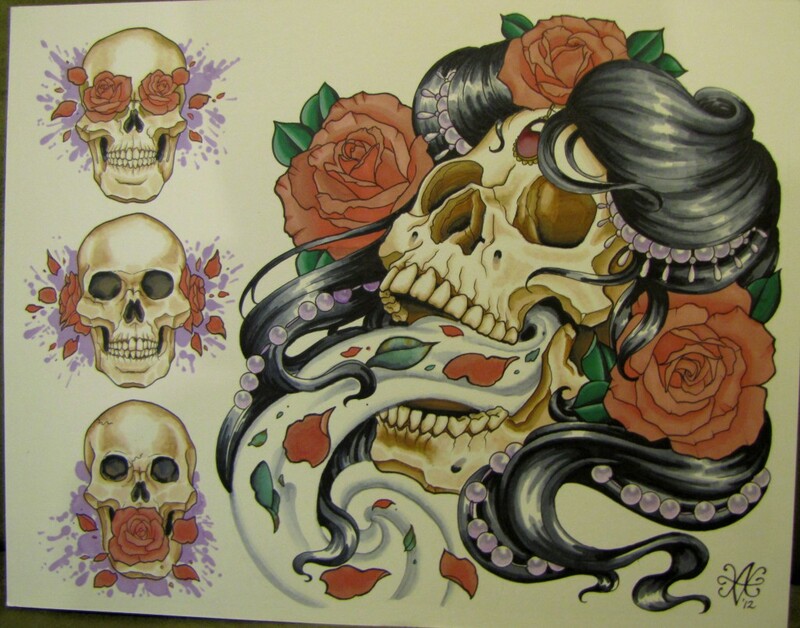 The theme of the set is Skulls & Roses. We have been taking pre-orders on the sets and are willing to ship them out as well (shipping will be extra).